The National Health Insurance Authority (NHIA) owes the Yendi Hospital in the Northern Region 11 months of arrears, DAILY GUIDE has discovered. The situation, DAILY GUIDE can confirm, is affecting health delivery at the facility since the Yendi Hospital is a referral point for 12 districts in the Eastern Corridor. The residents of the Eastern Corridor and its surrounding districts and communities are patrons of the Yendi Hospital and it will be big blow to them, should the facility decide to suspend health insurance due to lack of funds. 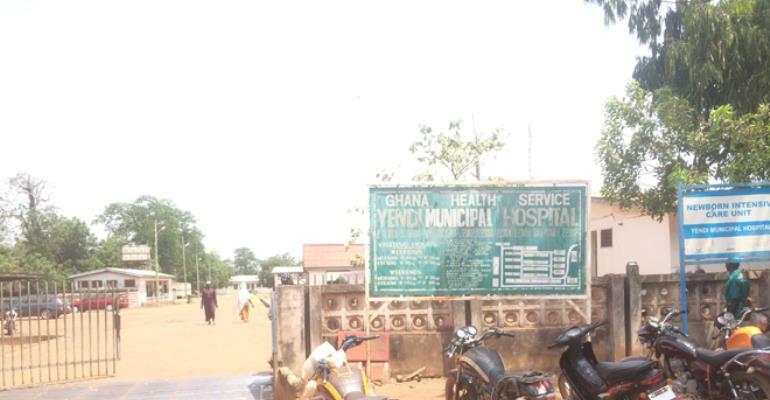 The Yendi Hospital Public Relations Officer (PRO), Alhassan Wemah, told DAILY GUIDE that the delay in payment of the claims affects the supply that the hospital needs. He indicated that some suppliers go to the extent of coming to the facility to demand for payment of supply they have made to them “which is sometimes embarrassing”. “We are owing people a lot and they come to the hospital and ask us, you have taken my items and you are not telling me anything about payment. Sometimes, we cannot even attend to our clients due to the pressure mounted on us by the suppliers,” he lamented. The PRO of the hospital appealed to government to intervene into the situation to enable the facility to settle their suppliers the money they owe them.